Peter has been in sales for 20 years and 13 years in mortgage sales including origination, and in leadership role in the last 5 years. With experience in both origination and management, Peter has developed a firm foundation as a leader to help loan officers and sales team to effectively support and partner with the real estate community to increase and help home ownership. Peter is also an instructor for First Time Home Buyer Education classes and has partnered with several organizations to educate and support the community. 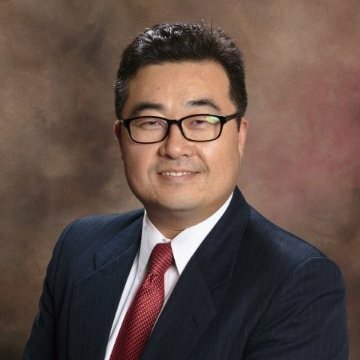 Born in Korea and raised in South America, Peter has a experience and deeper understanding in cultural differences and the challenges that difference ethnic group faces. Peter is passionate and carries a vision to continue to work with the community in a multicultural platform to make the American dream, a reality in home ownership. Peter is a father of 2 boys and 1 girl, married for 18 years to the most beautiful, humble and wise woman. Started my sales experience selling home delivery food service where I found passion in helping people with their needs. I also serve my church as a Executive Director and my favorite book is "My Utmost for His highest" - Oswald Chamber. My favorite quote: "3 H's for success: Be Honest, Humble and Hungry" - by Peter Park. If and when I have time, I play golf - the most interesting sport of all time - it teaches many life lessons.